Another Fantasy Camp at the Ballpark with three baseball Hall of Fame members Ryan, Jenkins, and Perry. Great camp with other popular former Rangers. Baseball is unpredictable and entertaining. No one can guarantee what’s going to happen next, and that’s just the way baseball goes. Jim takes all his favorite moments, games, stories and experiences to entertain any group in any lunch or other meal setting. He will target stories from coast to coast, team to team, and player to player for any target audience. 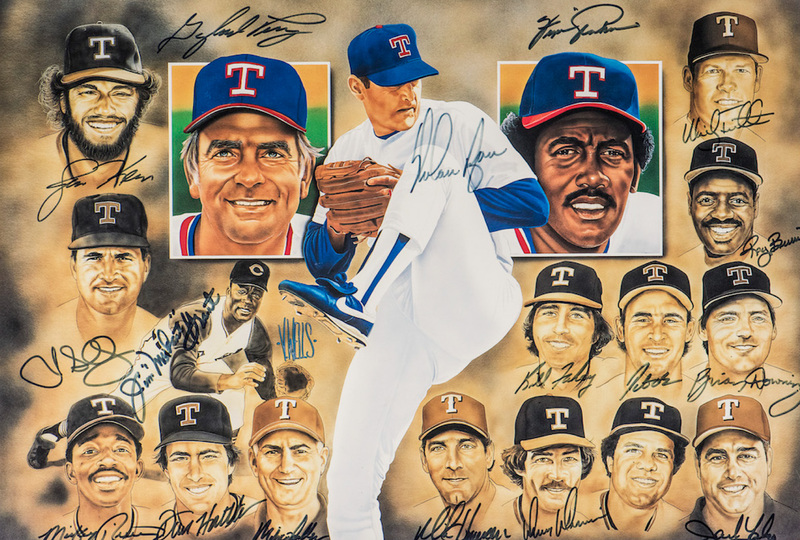 Stories from his first game with Hall of Fame pitcher Ferguson Jenkins to his last game with Hall of Famer, Nolan Ryan. Oh, and many others in between. This will be one of the most entertaining and favorite talks you will hear. You just might also want to ask Jim to bring along some of his special historical memorabilia that few get to see. Everyone looks for an advantage to impress their client base with the value of having and keeping their business. In very relaxed settings, much can be accomplished by first laying a groundwork of trust and support. Jim brings several years of experience in various areas of sales including his own business, as well as, the Texas Rangers ball club. He provides rich insight while creating a warm inviting environment. The Lunch With Legends venue is ideal to shut out the opponent! In a major league strategy room the team discusses ways to get an advantage on the opponent. To arrange their assets and skills against the other teams abilities. This venue is toward geared toward getting an advantage over the competitor in a suite or party group at a MLB game or an event trade show, Jim will use his years of experience as a player, broadcaster and front office executive to host and entertain your group. Jim is exceptional at using his personable skill set to deliver game time strategy and humor in a delightful and entertaining way. This is a popular venue for businesses to entertain their clients in a casual and open setting that enhances “sales through relationships”. 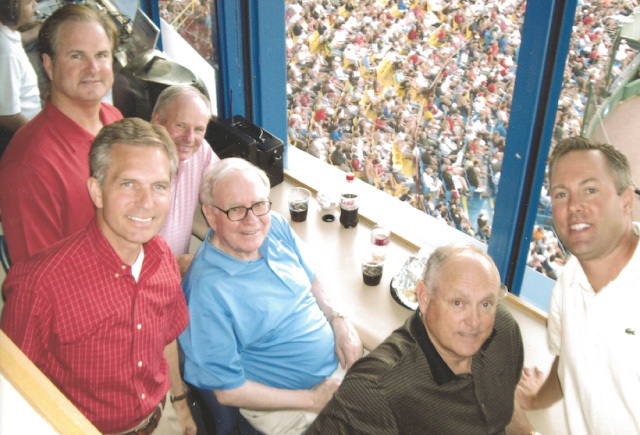 Nolan, Jim and friends with host Warren Buffet in his suite at the College World Series.